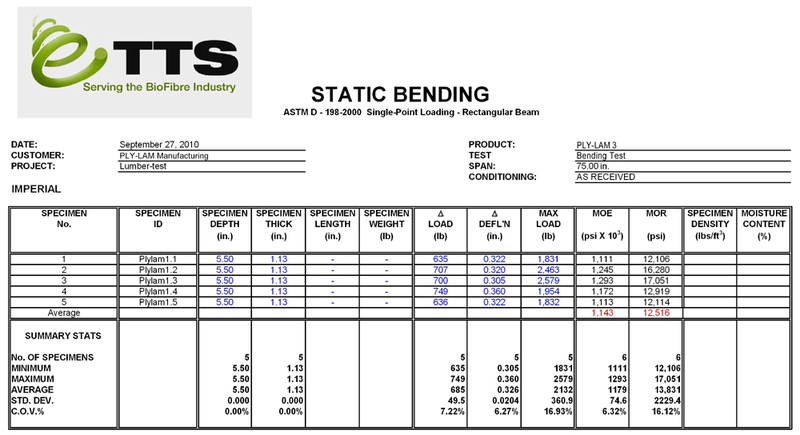 The following documents are taken directly out of a product testing report conducted on our Ply-Lam product(s). Tests were conducted by TTS Inc.. Please see their website here. 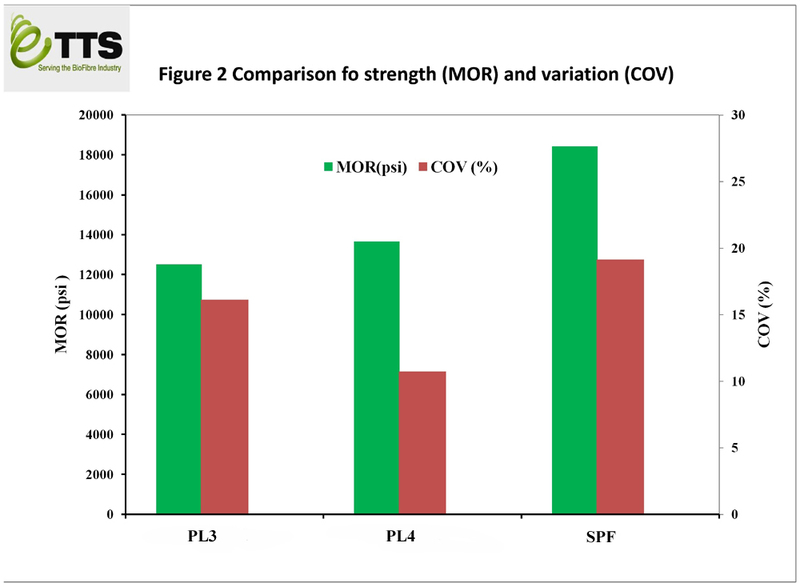 This chart shows the MoE and MoR of PL3 and PL4 vs. SPF (Spruce - Pine - Fir). 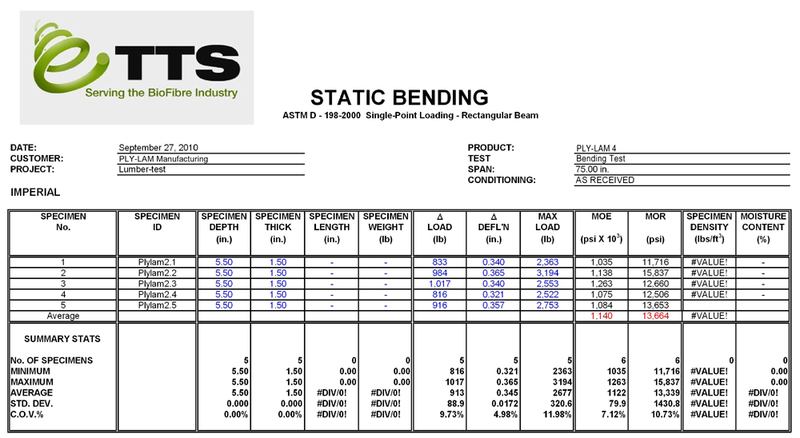 This chart shows the max load of PL3 and PL4. It also calculates the size of Ply-Lam needed to replicate a 5.5" SPF board. A small increase in thickness and width is necessary to replicate the strength of SPF. This bar chart shows that Ply-Lam's variance is much smaller than that of normal SPF. Normal SPF can have a large variance in MoE, and this can result in a wide range of stiffness for SPF. Ply-Lam does not have a large variation in MoE, and therefore is a more consistent product. This bar chart shows that Ply-Lam's variance is smaller than that of normal SPF. Normal SPF can have a large variance in MoR, and this can result in a wide range of strength for SPF. 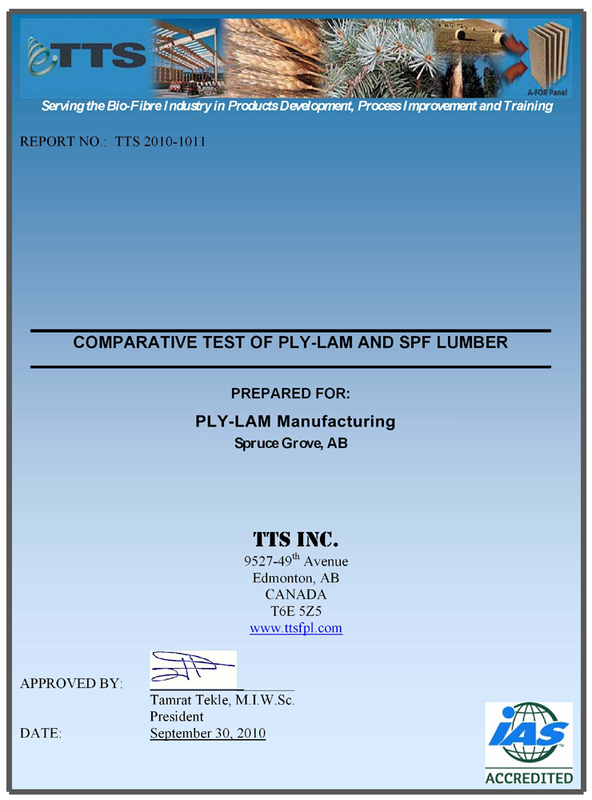 This chart shows 5 separate tests of standard SPF and Ply-Lam. 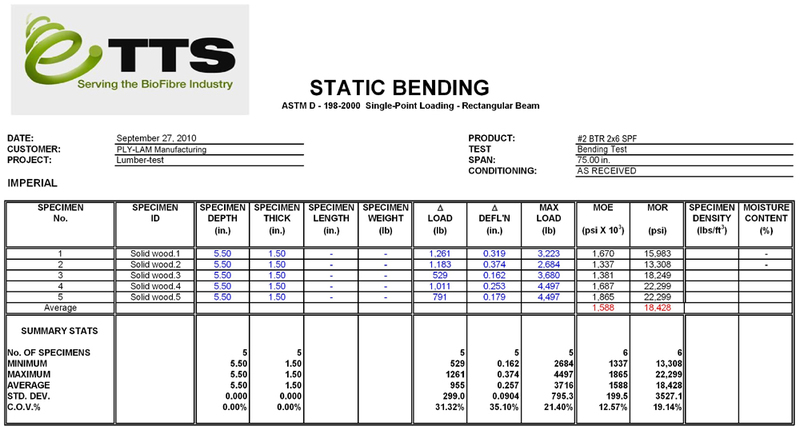 It shows high variability in the bending of SPF. This is not the case with Ply-Lam. This chart shows 5 separate tests of standard SPF. The variability of SPF is especially evident, with the weakest piece of lumber breaking at half the load of the strongest. This chart shows 5 separate tests of PL3. 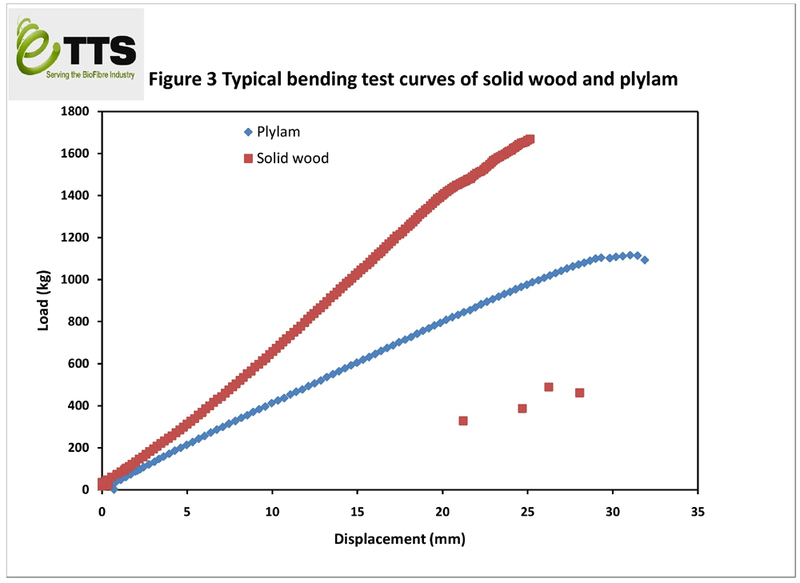 The consistency of Ply-Lam is evident in these tests. This chart shows 5 separate tests of PL4. The consistency of Ply-Lam is evident in these tests.